MusicMakers022: Ben Parker (Nosferatu D2 / Tempertwig / Superman Revenge Squad) « Adafruit Industries – Makers, hackers, artists, designers and engineers! MusicMakers is an interview series from Adafruit that explores the intersection of the DIY music and maker communities. We’ll be talking to some of our favorite musicians about art, tech, DIY, gear tips and more. Along the way we hope you’ll find some great new music as well as some ideas and inspiration for your own projects. 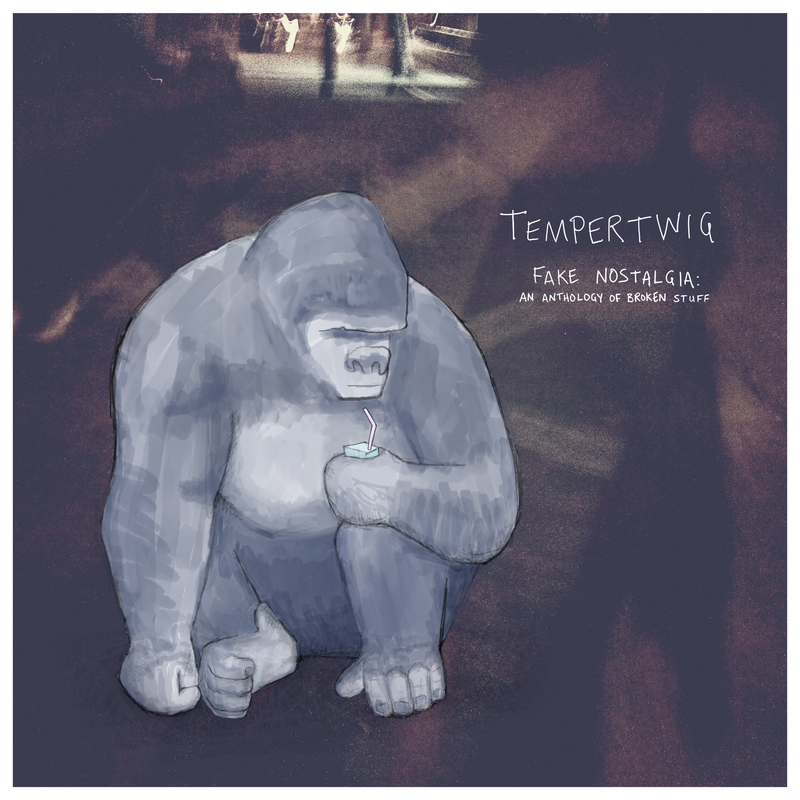 This week we speak to Ben Parker of Nosferatu D2 and Superman Revenge Squad fame in the lead up to the release of Tempertwig‘s FAKE NOSTALGIA: An Anthology of Broken Stuff collection. 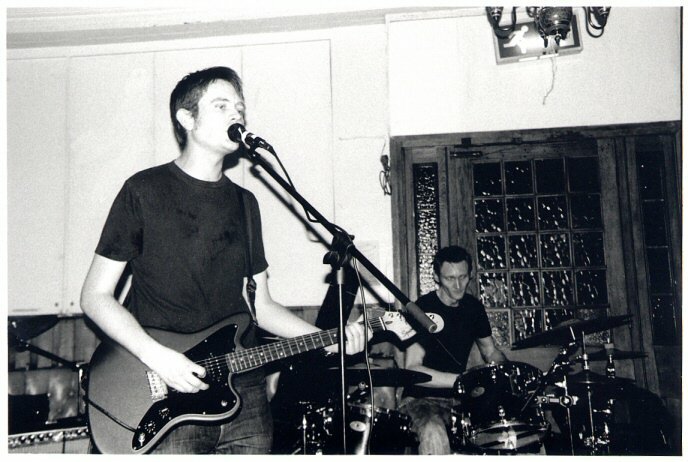 Alongside his brother Adam, Ben Parker has a modest standing as the kind of micro cult figure that could only really have ever existed under the circumstances of the strange and sprawling musical framework that became so accessible in the 2000s. The most popular project of Croydon’s Parker brothers was Nosferatu D2’s lone full-length album, We’re Gonna Walk Around This City with our Headphones on to Block out the Noise, recorded in 2007 and released in 2009, the brothers had already long abandoned their work under this name by the time it found its audience. 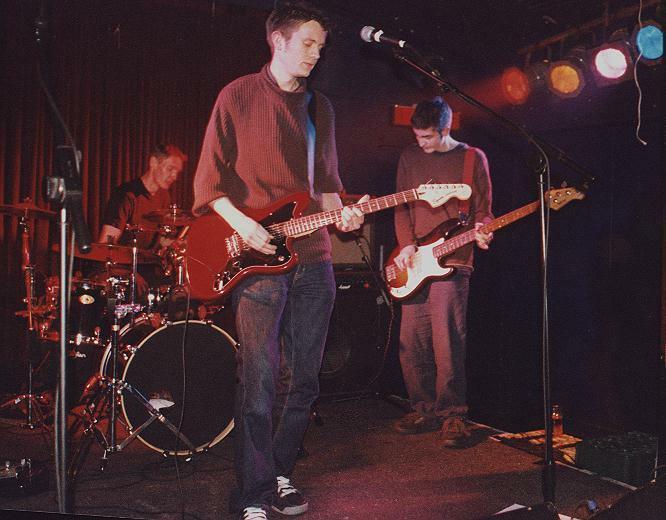 The album had been shelved after the band’s split and it was only through the broadening channels of DIY distribution that it began to reach new people, released through a bedroom record label and largely promoted through small blogs, zines and digital radio. Acclaimed for the depth and creativity of their lyrics and the frantic unpredictability of their sound, the duo came to be praised by some of the key independent music sites of their time and found themselves and the story of their album’s unconventional release to be the subject of radio stories from both the BBC and Public Radio International. But at the peak of this interest, they would never agree to reform. Ben Parker would then whittle Nosferatu D2’s sound down to its most basic elements, performing acoustically under the Superman Revenge Squad name. His lo-fi recordings and scrappy self-released albums would continue to earn him admiration from the DIY music press and a couple of support slots with MusicMakers alumni Jeffrey Lewis. The Parker brothers reunited in 2013 for The Superman Revenge Squad Band’s There Is Nothing More Frightening Than the Passing of Time album, a layered and ambitious redux of the Superman Revenge Squad project, reimagining the minimalist sound with saxophone, cello, piano, accordion and Adam’s frantic percussion. Shortly thereafter Parker stepped away from his position as both solo artist and bandleader, positioning himself closer to the sidelines as the guitarist and co-vocalist of the Jonbarr Hinge quartet. This year, nearly ten years since the belated release of Nosferatu D2’s only album, the fledgling Randy Sadage label (another first timer DIY label) will be releasing FAKE NOSTALGIA: An Anthology of Broken Stuff from the Tempertwig trio, a pre-Nosferatu D2 project from the Parker brothers. As a little known trio who operated principally between 1999 and 2004, this gorgeous collection of their fractured noise and cracked melancholy is another example of the kind of archiving and opportunity for posterity and discovery that would have been relatively new and unique at the time the Parkers were originally forming and disbanding these groups. From the long and atypical trajectory of Parker’s music and release schedule, I think you can take some inspiration from the idea that sometimes all you need is time. There’s an audience out there for unique and creative art, even if it’s not in your hometown or discovered within the traditional release cycle. Music has the potential to be heard further, wider and longer than ever before. Through Parker’s evolution from being the leading voice of trio then a duo before settling into a prolonged solo run which he later adapted into a wild and raucous big band sound, before immersing himself in the Jonbarr Hinge’s collective power pop, I think you can take the message that if you have the ideas and the energy, you can express your creativity any way that you want. You can make music any way that you want. We’re glad to have spoken to Ben Parker for the MusicMakers Q&A series, I hope you can take some inspiration from his work and his answers. In a world of unlimited options, varieties, plug-ins, life hacks and customizations, his “I just get on with it” approach is something worth remembering. Your career has had a unique path, going from a three-piece to duo to solo to lo-fi big band. What freedoms and opportunities have you enjoyed as a result of these lineup changes? I think I’m a bit of a control freak but I also like to not be alone. Playing music with Adam is really natural as we’ve played together since we were first playing instruments. But we obviously have very different tastes, with the common ones only really being Dinosaur Jr and the Afghan Whigs and the Cure, and a lot of bands that one of us loves and the other one really doesn’t, which I think made us make a kind of unique sound but also meant that we had to trim away things from the sound that we’d probably like to do. When I started writing Superman Revenge Squad songs I could suddenly do anything I wanted, which was nice, but I missed the magic of collaboration at the same time. The recordings on FAKE NOSTALGIA are pulled from a variety of sessions, how did these sessions vary and how different were they to records you would later work on? The recordings span the duration of the band, so include some time booked at professional studios along with recordings done with friends and recordings done by ourselves, so they are a mixture of different experiences. Basically, towards the end of Tempertwig we were coming to the conclusion that we were most happy when there was no-one involved in the recording process other than ourselves. With the variety of styles, lineups and recording setups you’ve used, have your priorities or goals for releasing and recording music changed at all? When we started, the goal was to get a gig, then it was to get more gigs, then it was to try to get on the radio somehow… then I realised that these goals were all dependent on other people, so I made the goals things dependent on my own creativity alone, which ultimately led to Superman Revenge Squad, where I recorded just to “release” CDs on my own and sell them over the internet, and that was the only real goal. How have your influences evolved over the years? I have listened to less and less indie rock as the years have gone by, and tended to listen to things that are nothing like music I could ever create myself. Dating back to before tempertwig, I was starting to really get into Duke Ellington, which lead to Gil Evans, big jazz soundscapes. Nothing like anything I could ever do. In more recent years, you’ve moved into the writing of short stories and plays. Was this a challenging transition for you? Lots of the Tempertwig songs started as short stories that I never finished. The hard thing about writing fiction is the fear that you’d put so much time in and no-one would ever read it. At least with a song you know that there will be at least a few listeners, even if they are uninterested. I was able to write a few plays as I developed them along with the theatre group in Croydon, so I knew there was a chance of seeing them performed. Do you have advice for customizing a creative workspace? Not really to be honest. I just get on with it when the mood takes. The rise of digitization in the music industry gave way to the online record labels and blogs allowed outlets like the BBC and Public Radio International to discover your work. How have you seen the industry evolve? I’ve never been a part of the music industry, so couldn’t really say. I know that when we started it fest like you could potentially get “signed” and make a living out of playing indie rock. Nowadays I suspect that isn’t the case. Is it an odd feeling to be praised for these “lost albums”? Receiving acclaim for something you’re no longer actively participating in? Yes, it feels like so much time has gone by that the person singing and playing on the recordings isn’t me anymore. It’s nice though. What is the musical chemistry like with your brother? And what feels different about playing songs like “Springsteen” or “Comfort Blanket” with Adam versus songs like “The Angriest Dog in the World”? Adam is a great drummer, and a really creative person. “Springsteen” was created by two people (me and Adam) and “Comfort Blanket” by three people (me, Adam and Daniel) – they wouldn’t have been the same songs at all if the other people hadn’t been involved. Whilst I used to get some chords and lyrics together, I’d take them to the others and we would work them into the songs, often by removing my initial musical ideas. “The Angriest Dog in the World,” on the other hand, was a song written by me that Adam elevated by adding his own unique drum sound. The last album you released was 2015’s Broken Ribs, Broken Records with The Jonbarr Hinge and you’ve not played live since 2016. Are you working on anything musical now? I became a father in 2016 and put things on hold for a bit. However, I have occasionally had a go on the guitar and scribbled down some song ideas. I have half an album of stuff so far, not sure what to do with it yet. What’s one song (by somebody else) that everyone should hear? 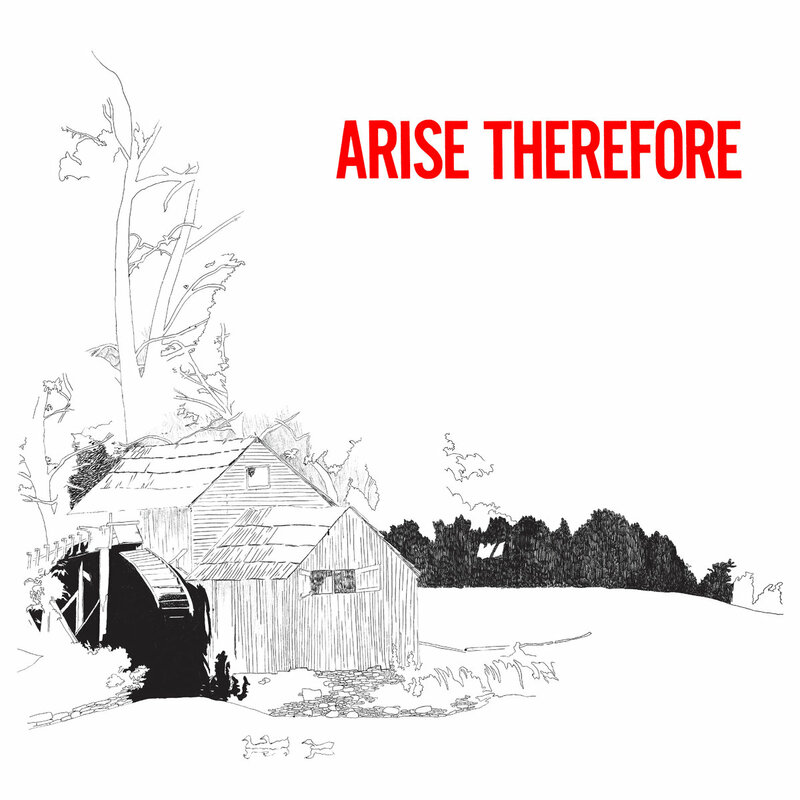 “The Weaker Soldier” by Palace Music off ‘Arise, Therefore’, in fact that whole album is a thing of wonder. Tempertwig’s FAKE NOSTALGIA: An Anthology of Broken Stuff collection is available now for pre-order on Randy Sadage Records. For more Ben Parker music you can visit: Nosferatu D2 Bandcamp / The Superman Revenge Squad Bandcamp / Superman Revenge Squad Bandcamp / Tempertwig Bandcamp /“Complete Ben Parker” Spotify Playlist + you can follow him on Twitter. Check out more MusicMakers Q&A’s (feat. Art Brut, Jeffrey Lewis, Frankie Cosmos, Pom Pom Squad, Benjamin Shaw, Bedbug and more), TasteMakers (feat. Alcopop! Records, The Grey Estates and more), TrackTalk (feat. Trust Fund, Haiku Salut, Deerful and more) and the Adafruit Artist Spotlight for DIY tips and music discovery. Plus, you can follow Adafruit on Soundcloud and Hype Machine.